A white American woman is raped by a black Panamanian laborer in 1946 in the Panama Canal Zone, and the aftermath affects labor relations in the Western hemisphere for the next two decades. And numerous nations use the African continent to exercise their colonial muscle and postwar power, only to encounter the financial and military burdens that will exhaust and alienate their own citizenry half a world away. As Race, Ethnicity, and the Cold War reveals, during this dangerous era there were no longer any "isolated incidents." Like the butterfly flapping its wings and changing the weather on the other side of the globe, an instance of racial or ethnic hostility had ripple effects across a Cold War world of brinksmanship between bitter national rivals and ideological opponents. Philip E. Muehlenbeck, Professorial Lecturer in History at George Washington University, is the author of Betting on the Africans: John F. Kennedy's Courting of African Nationalist Leaders. "...an effective and engrossing collection of impressive scholarship on a relatively understudied topic." 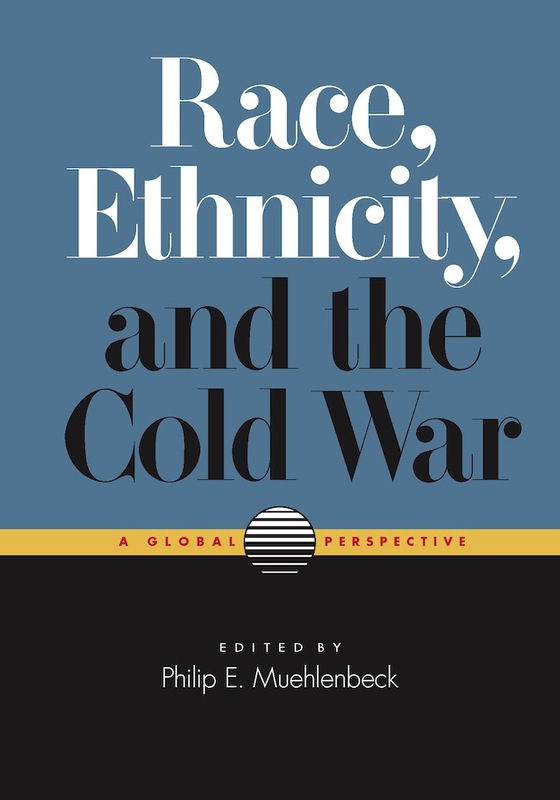 "…the authors included [in Race, Ethnicity, and the Cold War] demonstrate a nuanced understanding of how anti-colonial and anti-racist struggles, immigration, and nationalist movements connect to the Cold War histories of peoples throughout the world." "The collection is a valuable addition to the historiography of the new international history." "Race, Ethnicity, and the Cold War makes it clear that race, and even racism, was not something uniquely afflicting the United States, and that it can be studied in many other societies, and that it had an impact on the foreign policies of these countries." "By uncovering the transnational history of linkages between race, ethnicity, and global conflict, this volume makes clear that the challenge of grappling with, in Obama's words, our 'teeming, colliding, irksome diversity,' marked not just the United States, but many parts of the world. Perhaps recognizing the global nature of this challenge can serve as one step toward confronting the many boundaries that continue to divide human beings from each other and from our shared history."